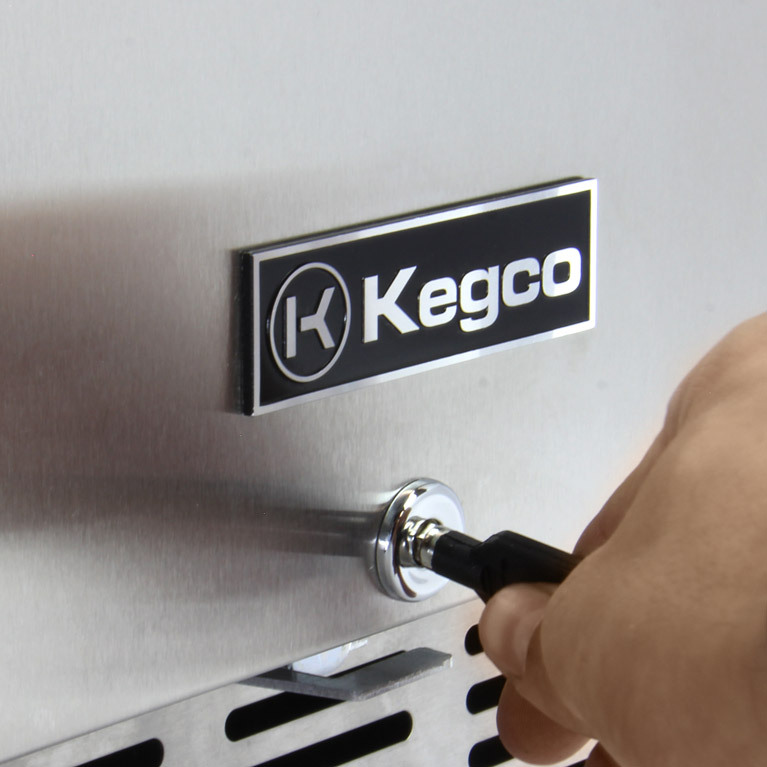 Your pool parties and BBQ's will never be the same thanks to the Kegco HK38SSU-L-2 Digital Outdoor Undercounter Left Hinge Kegerator, the very best two-product keg dispenser on the market for your backyard or patio. 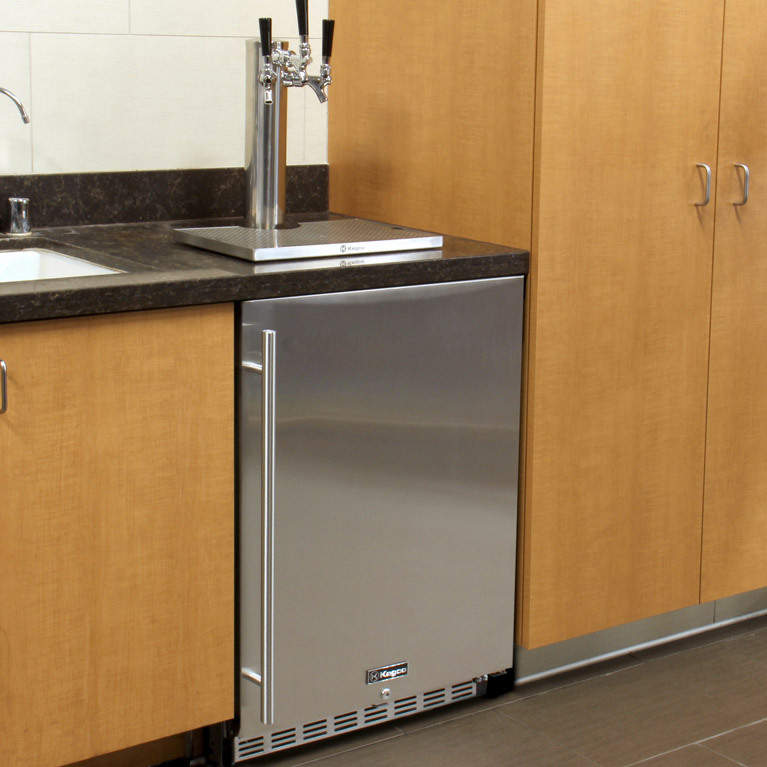 Featuring a versatile design that can be used built-in or freestanding and a durable stainless steel exterior that has been designed to withstand the elements, it comes complete with a fully equipped draft dispense system that takes the guesswork out of keg dispensing. 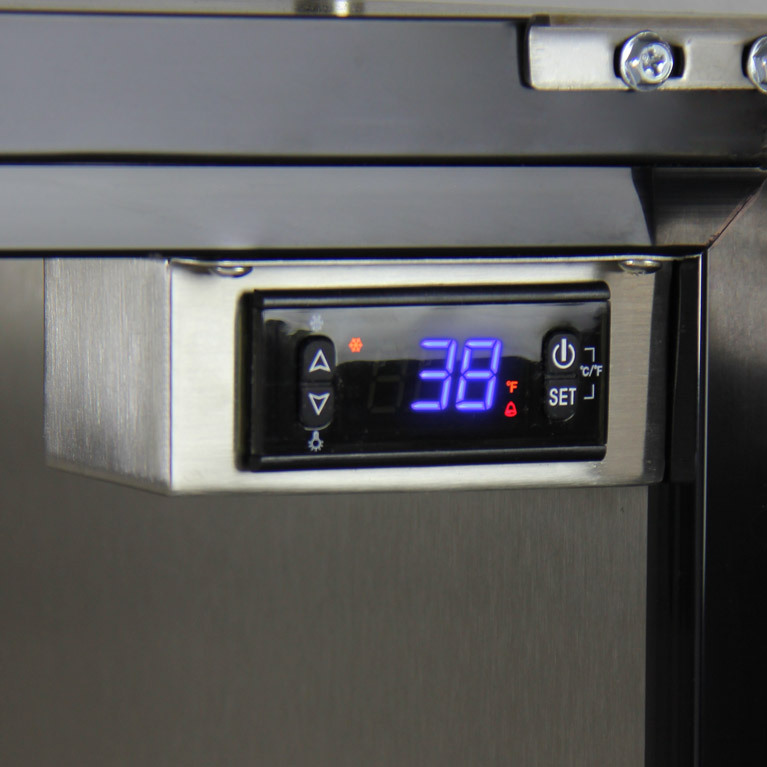 At 3200 therms, it utilizes the most powerful compressor in its class to deliver unprecedented cooling for faster recovery and temperature pulldown, and the wide 23-59 degree temperature range makes it suitable for serving cold beer, coffee, kombucha, and even wine! To get your party started as quickly and easily as possible, Kegco has included a premium beer dispense system with the HK38SSU-L-2 that comes with all of the high-quality draft components you'll need to dispense up to two kegs at the same time. 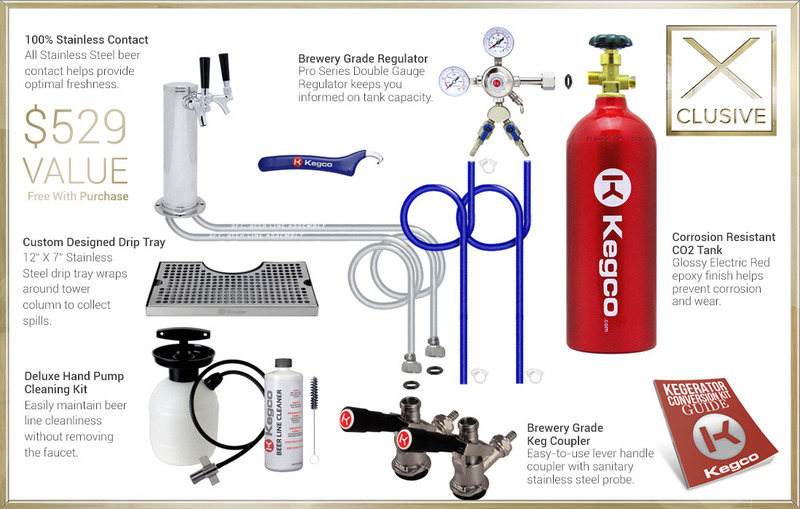 To ensure that your beer only touches 100% stainless steel metal components for the ultimate in sanitation, Kegco has designed this kit with a polished stainless steel beer tower, two stainless steel faucets, and two keg couplers with stainless steel probes. 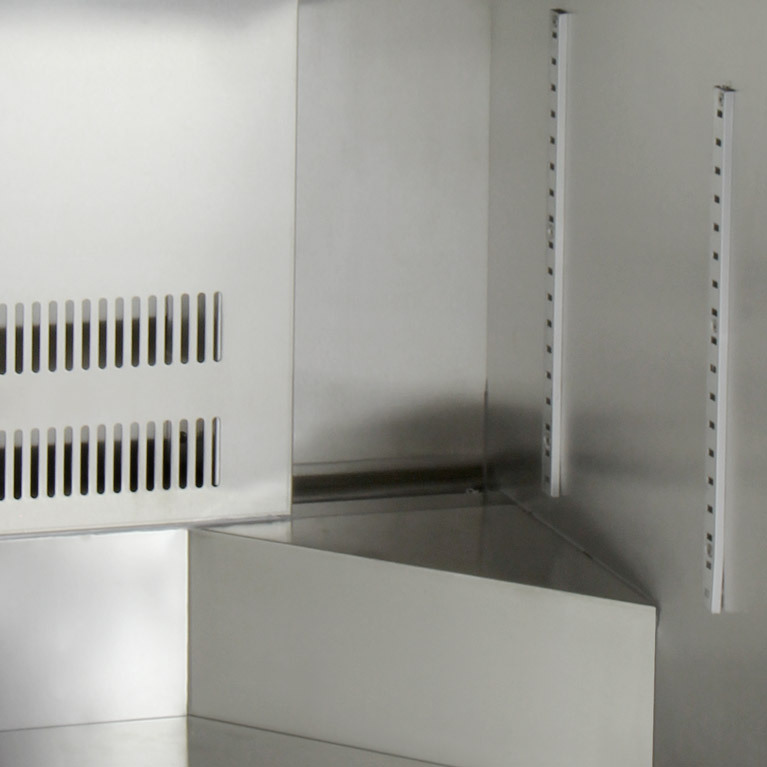 For added convenience, a Pro Series dual gauge regulator is included to make it easy to know when the corrosion-resistant, electric red epoxy-coated CO2 tank needs to be refilled. 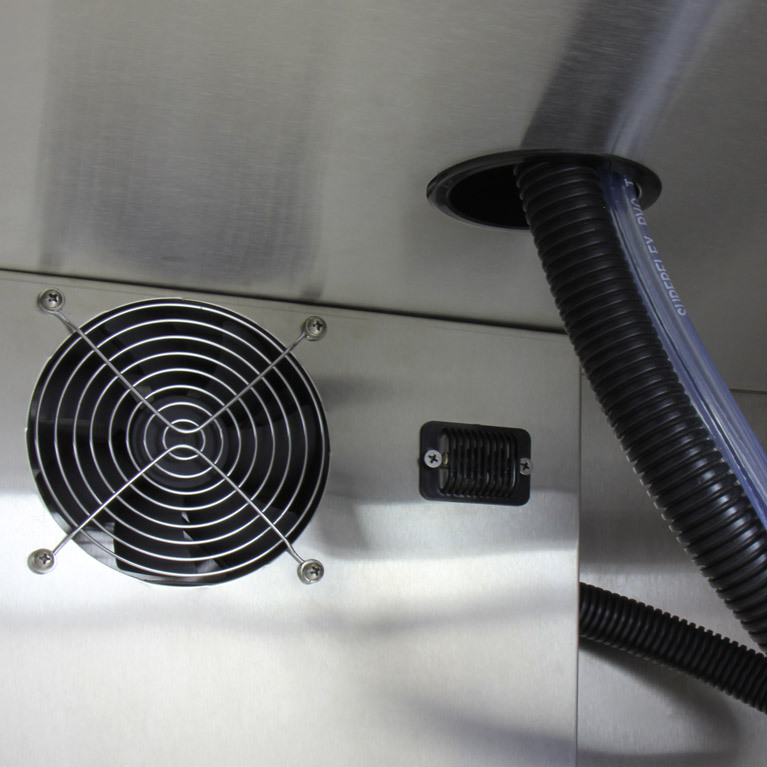 Best of all, the X-CLUSIVE kit comes complete with a deluxe hand pump pressurized cleaning kit that makes it easier than ever to keep your dispense system squeaky clean between kegs. 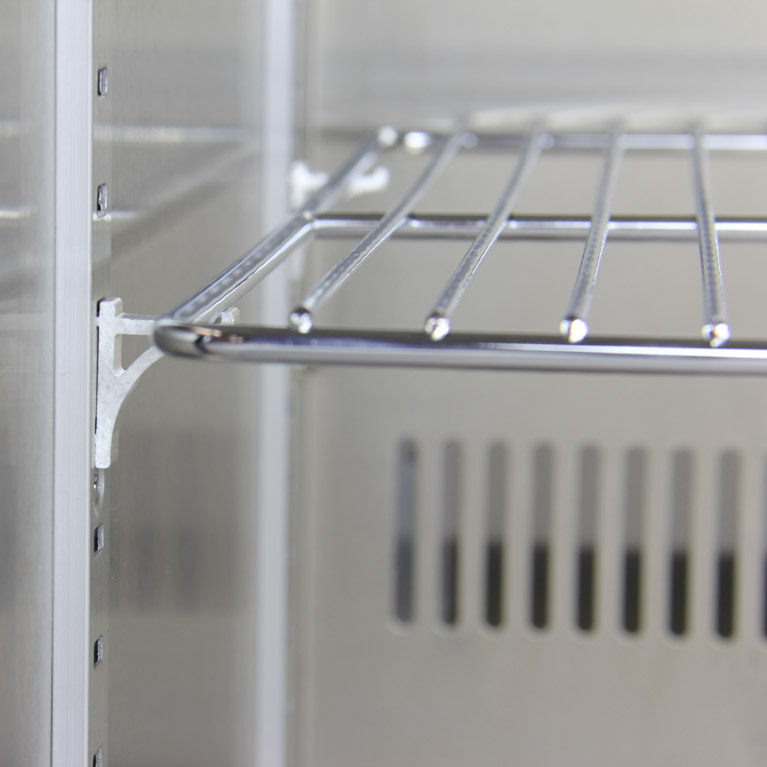 Every premium component in this exclusive direct draw kit has been chosen for its durable design and long-lasting reliability, so you can feel confident that you'll be dispensing fresh tasting beer for years to come.